An investigative journalist looking into a missing person’s case is nothing new in the world of crime fiction (one only has to look to Mikael Blomkvist and The Girl with the Dragon Tattoo for a classic example of this), but as with most books in this genre, it’s about the characters. A struggling young reporter trying to get her big break at the local paper had me interested as a student journalist, and I soon began reading Child Taken by Darren Young. Admittedly, having read this book over the space of two or three months, the first half of the book has been somewhat forgotten. However, it can be described as a ‘slow burner’ of a novel. As the mystery unwravels over the course of 438 pages, it’s around two-thirds of the way in where the pace really starts to pick up, with action in every chapter. It was at this point that I was reminded how good a movie or TV Show Child Taken could be. Written in an intriguing and descriptive narrative style, it was one of the few books which made me imagine every scene in detail. It made each action scene more intense, and the big finale even more impactful (no spoilers). 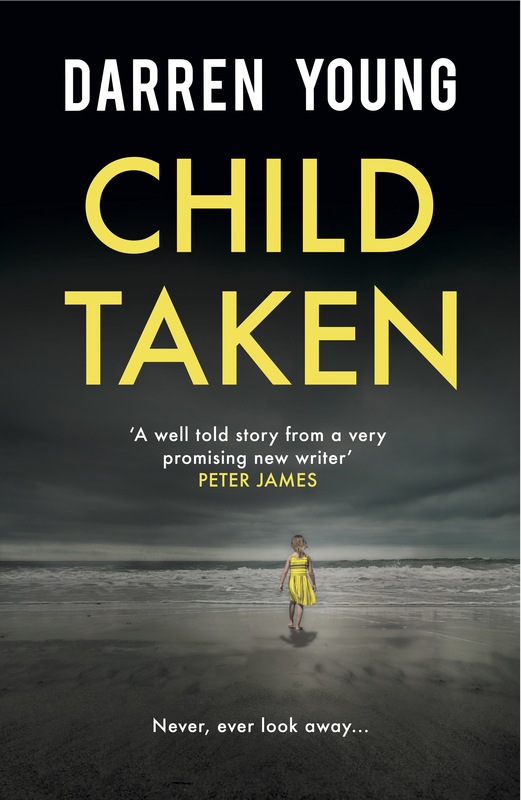 Gripping and thrilling with a perfectly constructed plot, Child Taken is a brilliant debut from the writer, Darren Young. I received an advance copy of this book from the publisher in exchange for a review. I did not receive payment and the opinions stated in this piece are honest and my own.